Does your restaurant look inviting? Cleanliness, sanitation and hygiene are the most important aspects in the restaurant business. MTO Janitorial suggests you put yourself in the customer’s place and check to see if your Prescott restaurant looks inviting. Many people determine whether they will return to a restaurant based on how clean the restroom appears to be! Regardless of how tasty your food may be, how creative your dishes are, and how excellent your service is, consumers will not want to flock to your establishment if it is not clean. Have multiple sinks located in your kitchen. This is essential not only for your wait staff but also for your cooks. Make sure to have a separate sink to wash food. Using a sink that has been used to wash food or vegetables may introduce contaminants. Keep these supplies on hand to keep your restroom clean: mops, soap dispensers, toilet seat covers, toilet paper, paper towels, hand dryers, and waste containers. Every restaurant should have a welcome mat. Tests have proven that welcome mats make customers feel more like they have really been invited into an establishment. It is essential to mop the floor in the restaurant as well as the restroom floors every day. 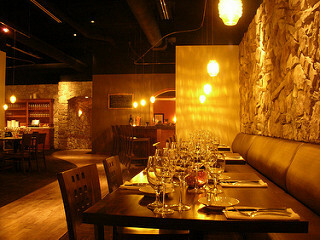 MTO Janitorial can help make your Prescott restaurant look inviting and keep your customers coming back. MTO Janitorial is the perfect solution for your Prescott restaurant, whether for commercial floor cleaning, general maintenance or thorough sanitizing. Please call us today for a free estimate at 928-772-0004.